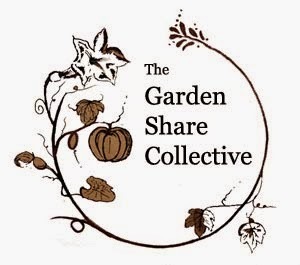 Happy New Year everyone, and welcome to another month of Garden Share collective where gardeners from around the world get to show what’s been happening in their vegetable garden over the past month, hosted by Lizzie from Strayed from the Table. One of the White Cedar trees across the road from our house lost a branch. the odd hot day, but for the most part the days were just gorgeous, cool mornings (so cool in fact, that some mornings a cardigan was needed), warm sunny days turning into cool evenings that didn’t require the use of a fan to get a good night’s sleep. Down in the vegetable garden things are still slow to get moving, with some things doing better than others. Sweet corn, off to a good start . The Genovese basil is doing beautifully and I have already made my first batch of basil pesto. The self sown Kent pumpkins have started to flower. Tomatoes of an unknown variety. Well, not really unknown, they are volunteers from last summer's crop that I over-wintered, I'm just not sure what they are yet. Lebanese cucumber, of the 4 seeds sown 2 of the seedlings are doing well, while the other 2 are struggling to grow, and I have no idea why. Mostly herbs at the moment, basil, parsley, thyme and oregano. Weed and water as required, I have a feeling I will be doing a lot of this. Try to get some coriander, English spinach and lettuce growing, I have had no luck so far. Mulch the last few beds. Well, that's it for this month, see you same time, same place, next month.